In 2015, Seminars in Reproductive Medicine dedicated an issue to Bruce Carr (M.D. 1971), the Paul C. MacDonald Distinguished Chair in Obstetrics and Gynecology at the University of Texas Southwestern Medical Center, honoring his storied career in the field of reproductive endocrinology. “Innovations in Reproductive Endocrinology: A Tribute to Bruce Carr, MD” invited fellows whom Carr had mentored to contribute, presenting the “most recent advances in reproductive endocrinology” to a community of researchers, physicians and scientists across the globe. It was a special sendoff, prompted by Carr’s decision to voluntarily step down as editor-in-chief after 15 years — an effort, he says, to give younger voices a chance to be heard. Carr is internationally recognized as an expert in his field and has received numerous awards throughout his 40-year career. 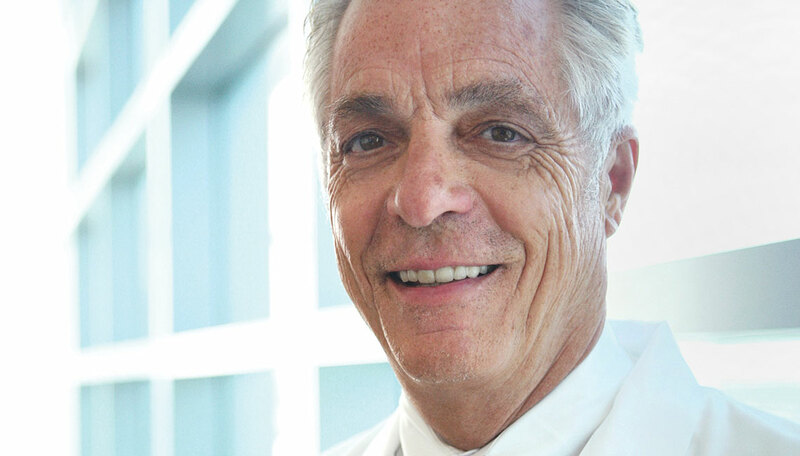 In 2009, he was given the American Society of Reproductive Medicine’s (ASRM) Distinguished Researcher Award. He has also authored, co-authored and edited more than 680 publications and abstracts. Most recently, his textbook, Essential Reproductive Medicine, was translated into Russian. Carr credits much of his success to an early introduction to scholarly research and to dedicated mentors. Through his Eagle Scout program — and with the help of an influential faculty member — he joined U-M’s Undergraduate Cardiovascular Research Program in his early 20s. “It was a really great experience,” he says. It paid quite well, too, to Carr’s delight: Not having to worry about tuition allowed him to concentrate fully on his work. That position cemented his passion for research, pushing him to pursue academic medicine. After completing a residency and fellowship at UT Southwestern, he stayed as a faculty member, rising from assistant professor to full professor in eight years. “Almost a record,” he adds. There, he became a sought-after adviser. In fact, all 44 of his fellows to date have passed the written boards in reproductive endocrinology, an accomplishment in which he takes immense pride. “It’s pretty unbelievable,” Carr says. But it makes sense: “I had mentors who were good to me,” and being able to give back, he believes, is the best way to salute those who guided him on his own path to becoming a physician-scientist.